Make the best of your dorm room with cool college dorm wall decorations like this dorm supply Foil Leaves - Peel N Stick Dorm Decor. This Foil Leaves - Peel N Stick Dorm Decor college decor essential shows us a draping silhouette of leaves dancing gently on swirly branches. 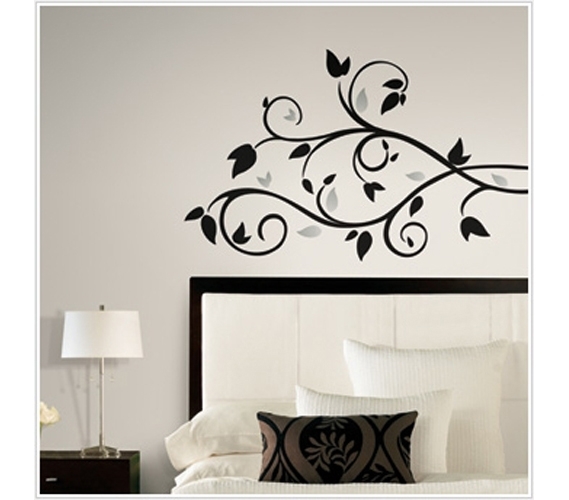 This Foil Leaves - Peel N Stick Dorm Decor will make your dorm room walls look as if they are adorned with nature. As a college decor accessory, this Foil Leaves - Peel N Stick Dorm Decor is a college dorm necessity. Peel N' Stick dorm decorations look great on dorm walls and also peel off easily. This Foil Leaves - Peel N Stick Dorm Decor will never leave any sticky residue on your dorm walls or damage the paint.